Our Carpenters Mate landscaping screws have been tried and tested by industry professionals and have been rated as some of the most reliable screws on the market. 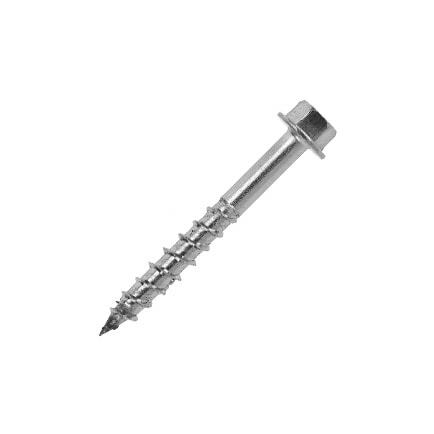 Our landscaing screws are an industry favourite with carpenters and tradesmen alike because of their corrosion resistant coatings, ease of use and ability to fasten fixtures quickly and efficiently. The traditional way of joining two or more timbers is often an arduous process. As you’ll know, this involves: drilling a pilot hole, hammering a bolt through, tightening the joint with a washer and nut, and securing to a high torque - and that’s if you can access both sides of the timber in a limited space! View our video demonstration below! With a Carpenters Mate screw, there is no need for pre-drilling and you do not require a bolt and washer, meaning you can quickly secure your timber structure with access to the joint from one side only. You’ll also user fewer tools and components. 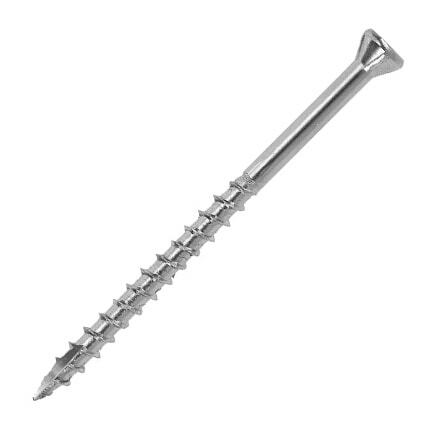 Stainless Steel No.7 Finishing Screw – A premium-quality, corrosion-resistant, exterior stainless steel deck screw, which offers near invisible fastening for a seamless finish to your decking. Available in a range of colours to match or contrast against your wooden structure. 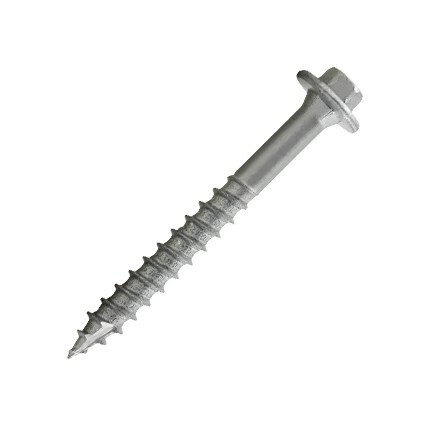 Stainless Steel No.10 Composite Deck Screw – These corrosion-resistant screws have been specifically designed and manufactured to work with composite decks. The discreet screw head enables you to create a seamless and professional finish to your composite decking. 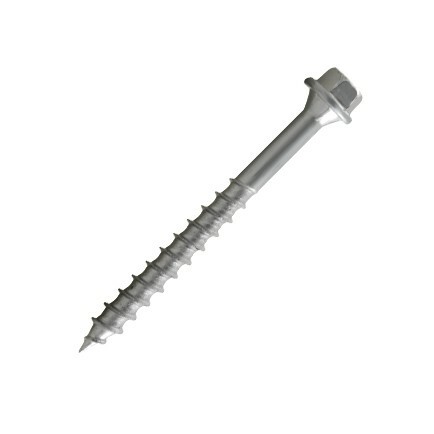 Exterior Wood Deck Screws – Our exterior wood deck screws have been specifically designed for wood-to-wood connections, manufactured with corrosion-resistant carbon steel for maximum durability and longevity. 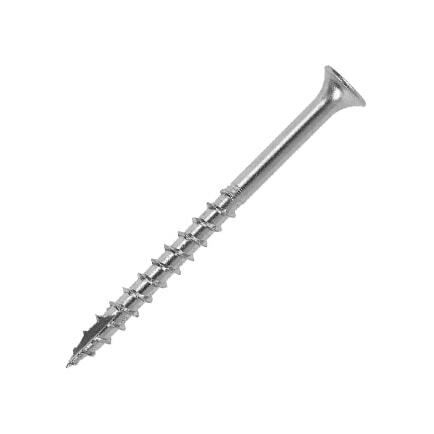 The exterior wood deck screw also features a self-countersinking square drive head, making them perfect for any outdoor application. Multi-Purpose Bugle Head – This is a perfect product for fixtures near salt-water environments and specifically designed to make the installation of decking faster, easier and stronger. 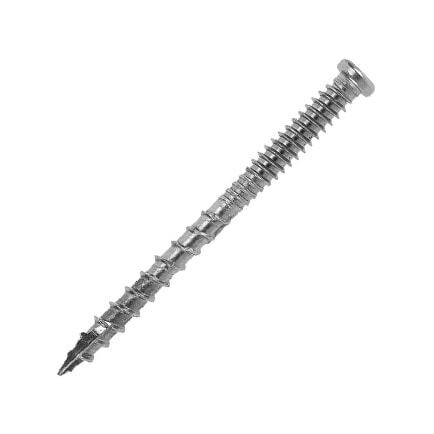 Flat head screws - Designed and developed specifically for sheet materials, these premium-quality flat head screws are available in a variety of sizes to suit a wide range of insulation and landscaping applications. If you’re looking to achieve a seamless finish and a millimetre-perfect decking project, then the CAMO hidden deck fastening system is the easiest way to achieve this. The CAMO range is available to buy from OSC distributors across the UK - so if you’re looking to use an innovative fastening system for your next decking project, contact us today for more information. The Carpenters Mate range of premium, self-drilling timber fixings is a trusted choice amongst tradesmen and carpenters alike because of their efficiency, quality and durability. There is no need for pre-drilling with all of our Carpenters Mate products and each pack has a free drive tool included. The Carpenters Mate screws have been designed to save you time whilst maximising quality and performance and are guaranteed for the life of the project. Why not request a free sample of self-drilling Carpenters Mate landscape Screws to try them out for yourself? Give us a call on 0845 241 9862 or fill out a form to receive your free sample, and see what all the fuss is about. If you’re interested in purchasing landscape screws for your next project, find your local distributor near you to make a bulk or single pack purchase. You can also find your local distributor by contacting us today. We are proud to work with over 3,000 distributors across the UK and encourage other UK stores to become a distributor too.